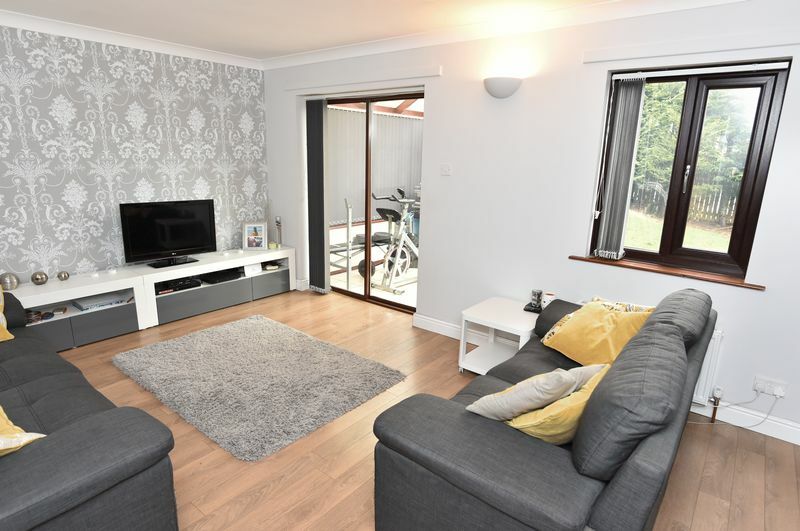 Jarvie Property are pleased to offer for sale this modern link detached family home in a sought after location with well regarded schooling close by. 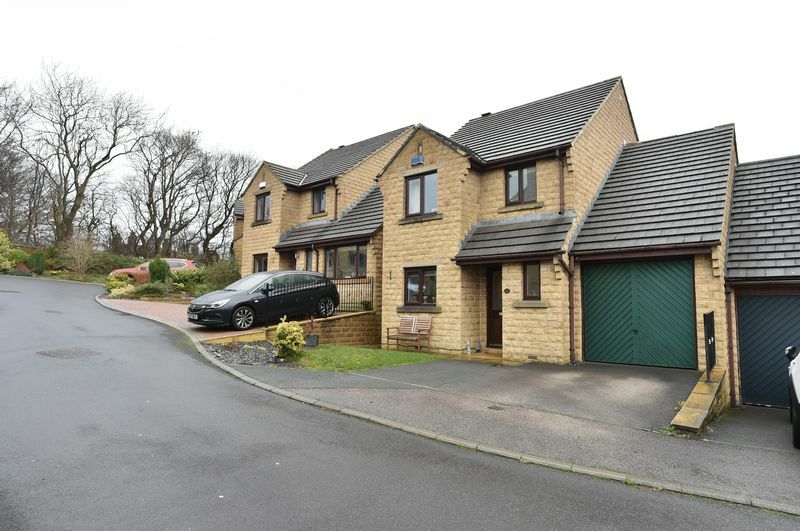 Short drive to the M62 network link, local shops and bus routes are a short walk away. 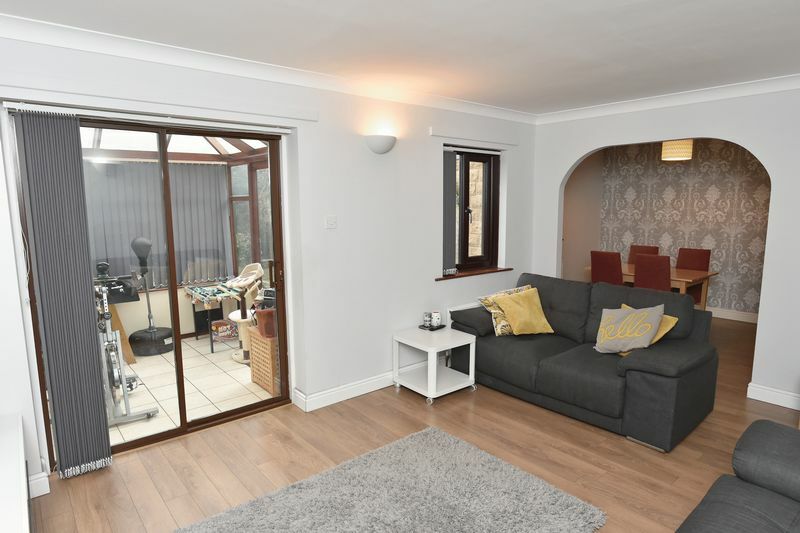 Comprises: Entrance hallway, stunning breakfast kitchen, lounge/diner, conservatory, downstairs wc, three bedrooms master having en-suite, family bathroom. 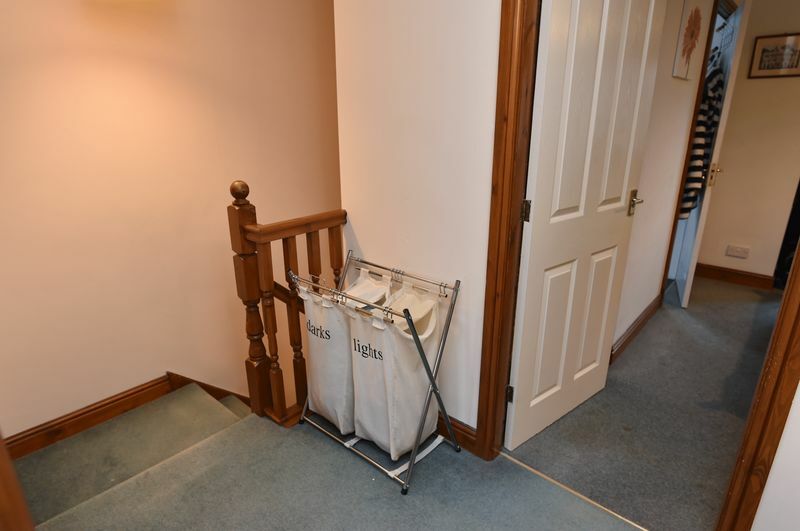 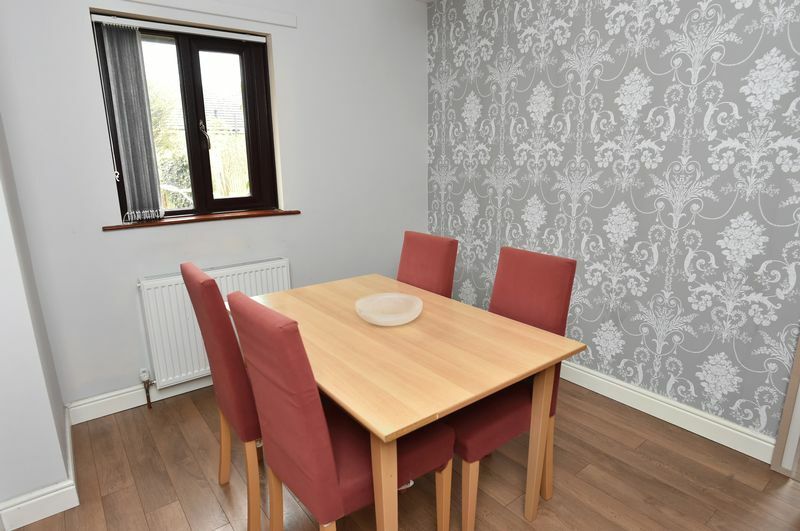 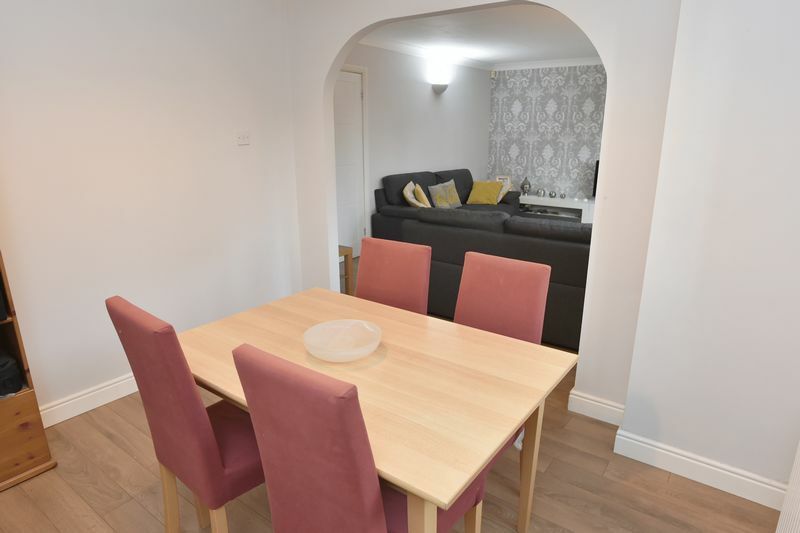 Externally there is a good size single garage, ample parking to the front with small grassed area, to the rear there is an enclosed garden mainly lawned and patio area perfect for those summer BBQ. 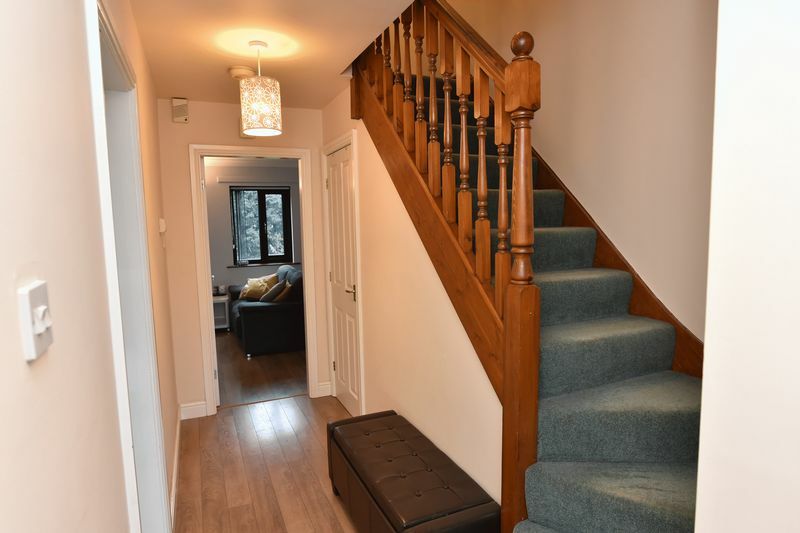 EPC - D.
Entering through a wooden door, open stairs rise to first floor, under stairs storage cupboard, laminate flooring and radiator. 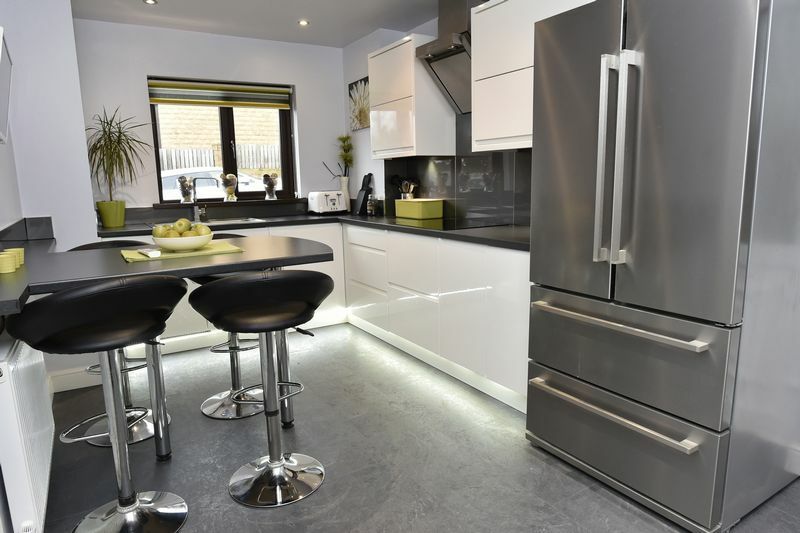 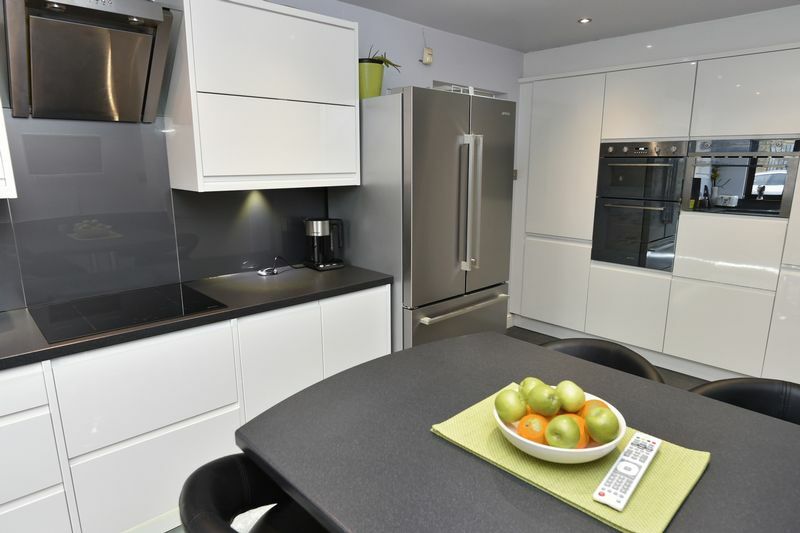 A modern white gloss kitchen with integrated double oven, microwave, dishwasher, washing machine, induction hob, cooker hood, large work surfaces and breakfast bar. 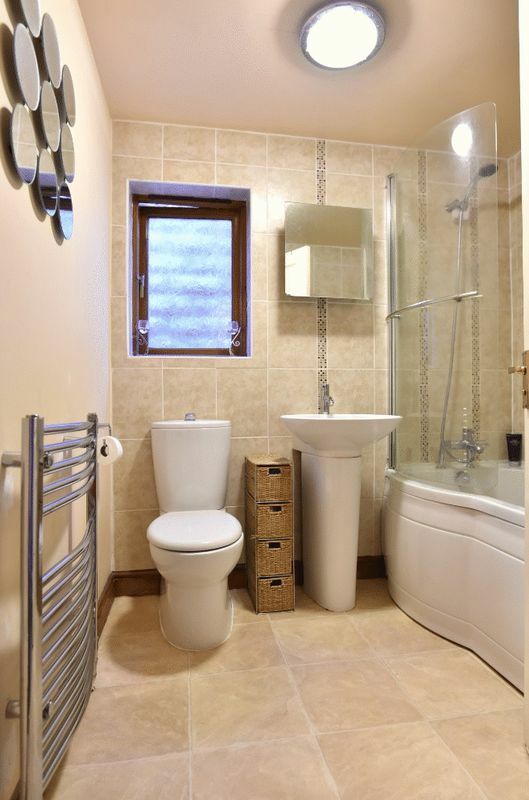 Spot lighting to ceiling, double glazed window and door, laminate flooring and radiator. 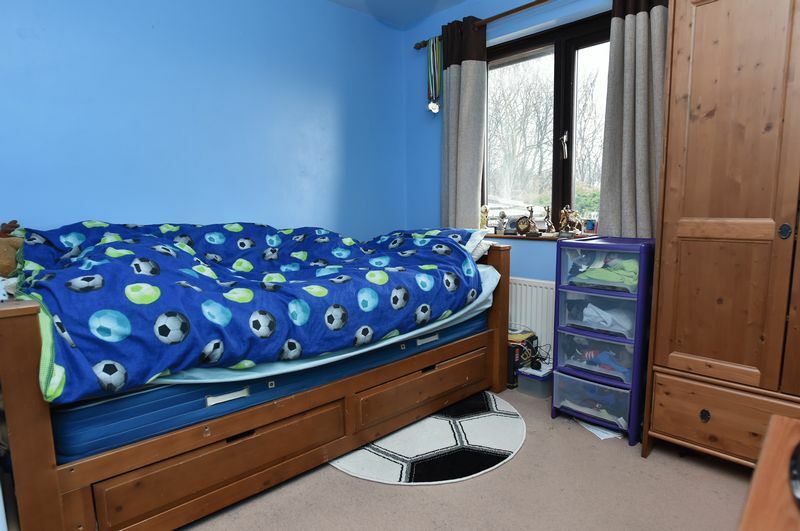 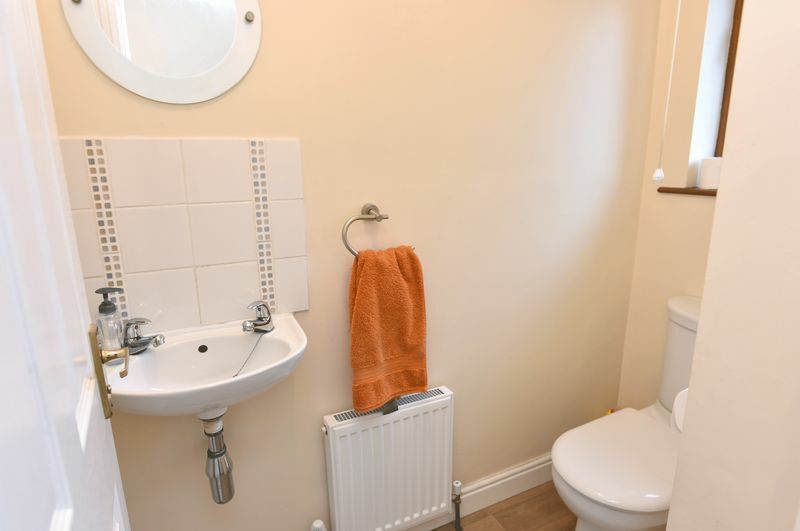 Comprising sink and low flush toilet, double glazed window , laminate flooring and radiator. 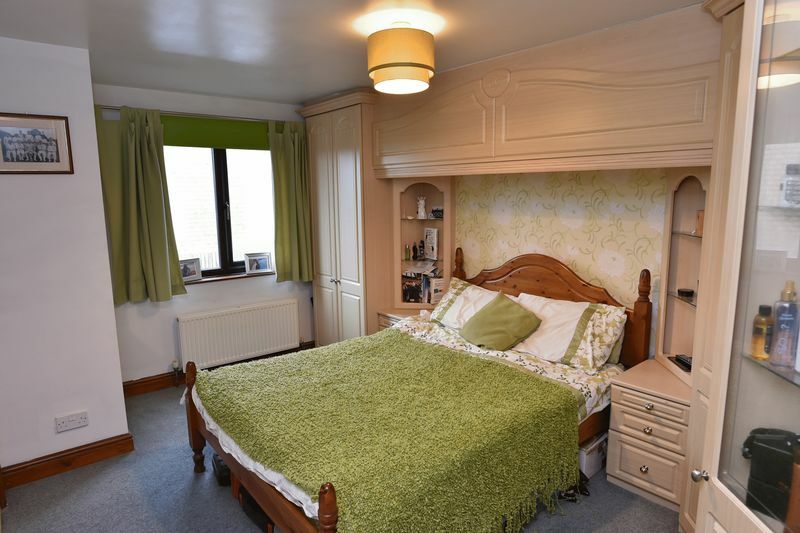 Good size double bedroom with fitted wardrobes, double glazed windows and radiator. 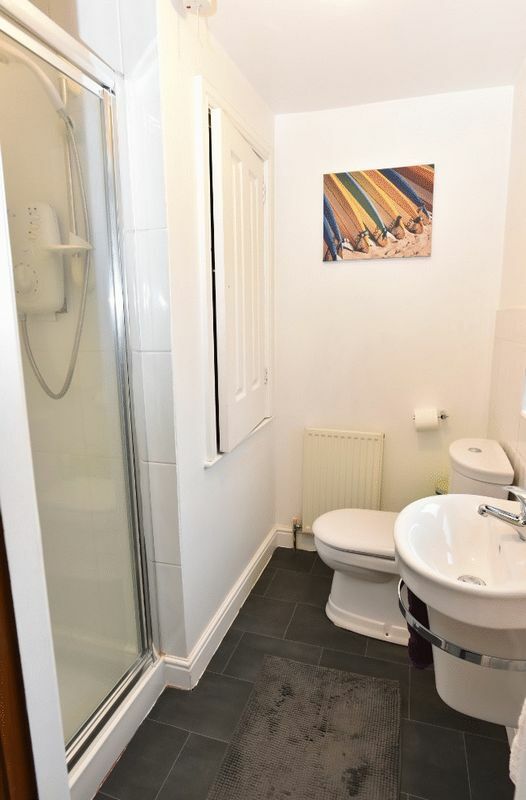 Modern Shower room with single electric shower with glass screen, sink, low flush toilet, double glazed window, storage cupboard, lino flooring, radiator. 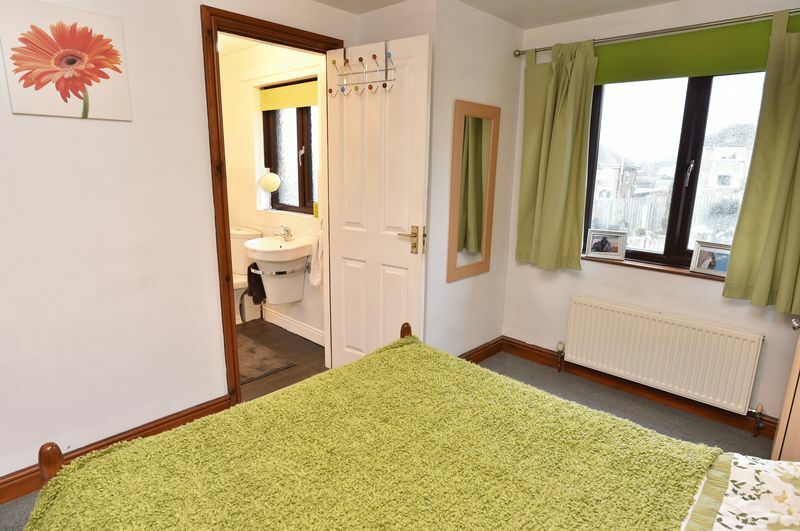 Double room with double glazed window, radiator. 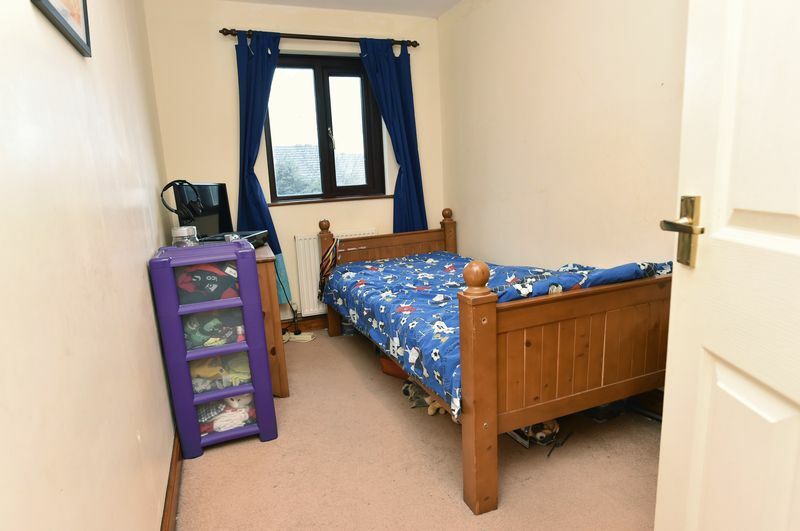 Good size third bedroom with double glazed window and radiator. 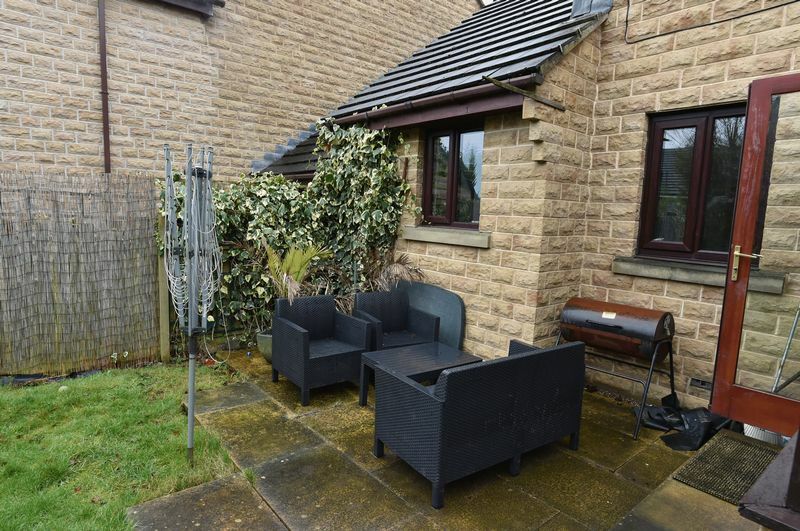 To the front there is parking for two cars with small grassed area to the side. 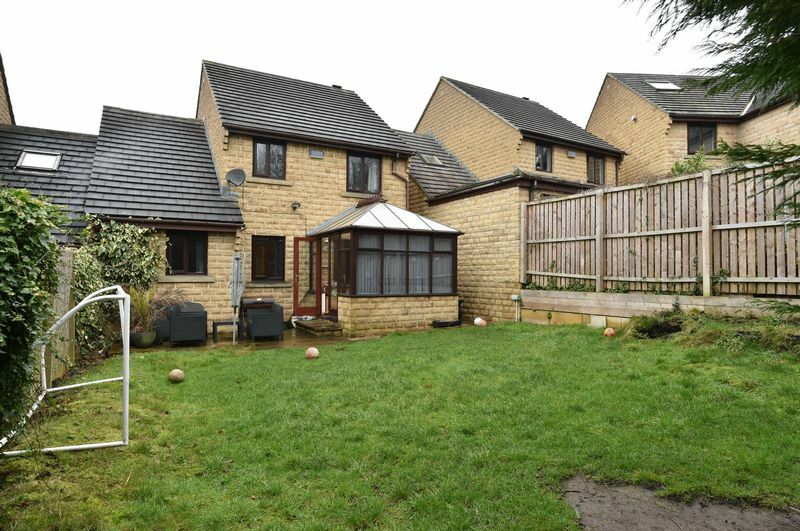 To the rear there is good size enclosed garden space with patio area. 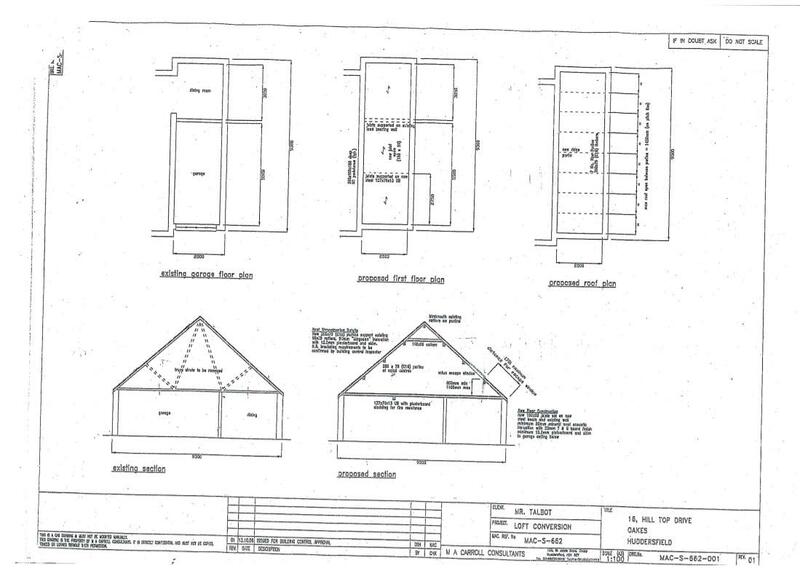 Garage 18'5" x 8'11". 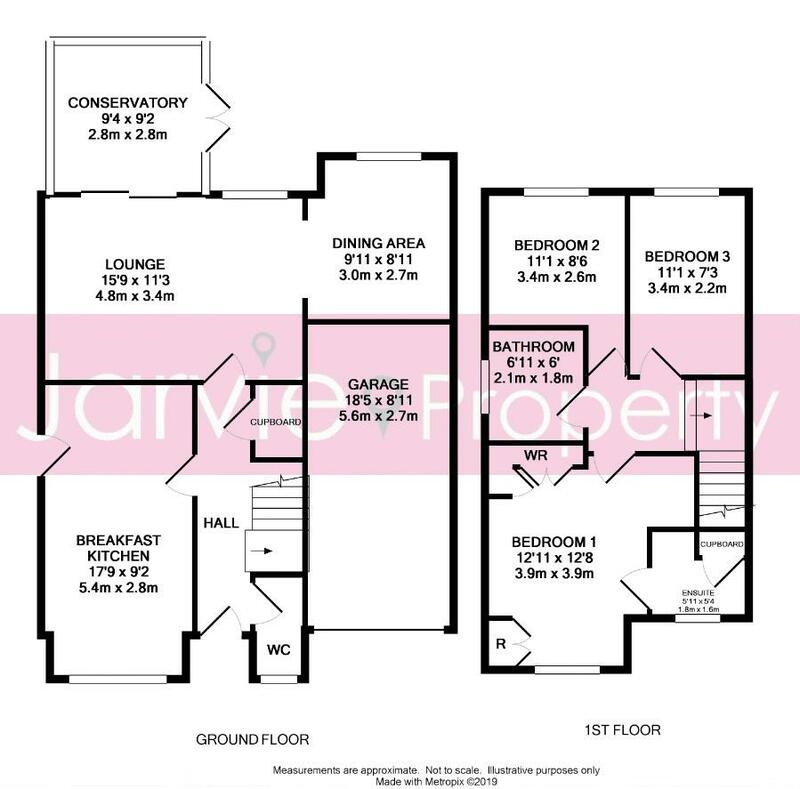 We have been informed when the current owners bought the property there was planning consent granted to build above the garage making the property a four bed property.